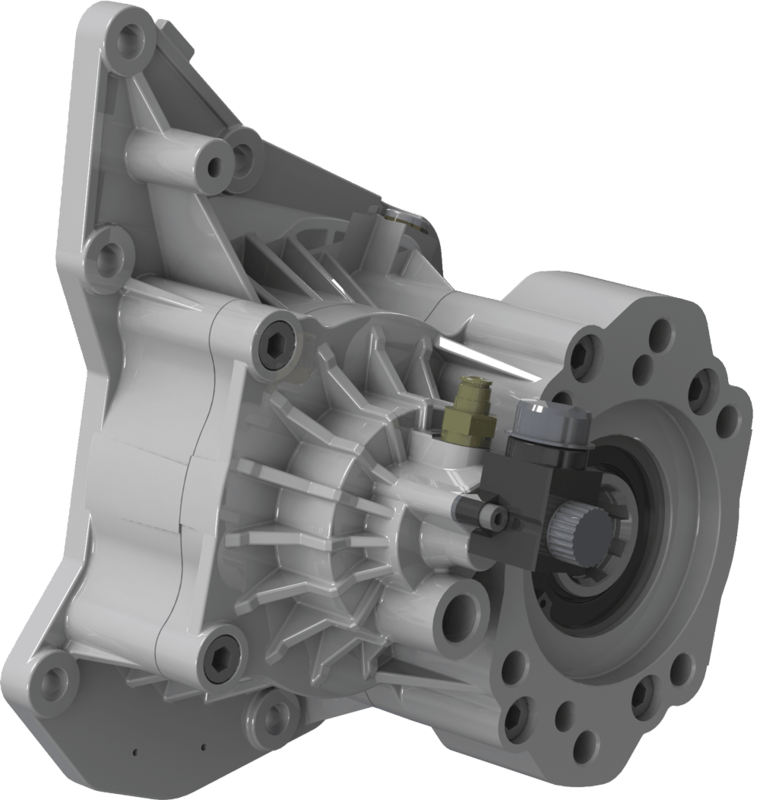 Muncie Power’s RS6S-P89M PTO is designed to fit Detroit DT12 transmissions in Freightliner or Western Star Class 8 Cascadia or 5700 trucks. Detroit PTO Prep Kit option 362-822 is required by the transmission. 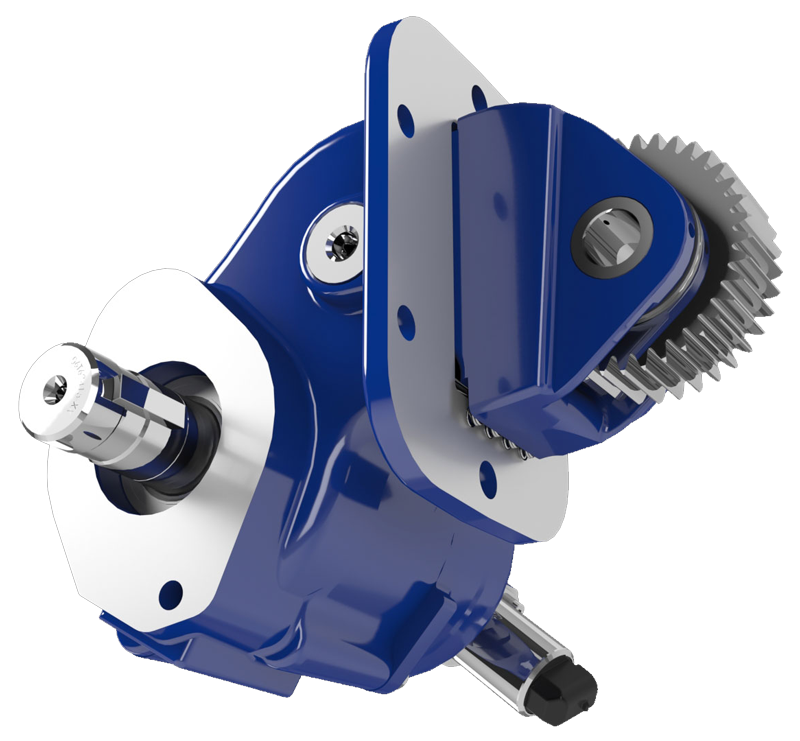 For this unit, the main feature is the integral hydraulic mount for structural support of hydraulic pumps up to 60 lbs. * (27 Kg.) without additional transmission support. 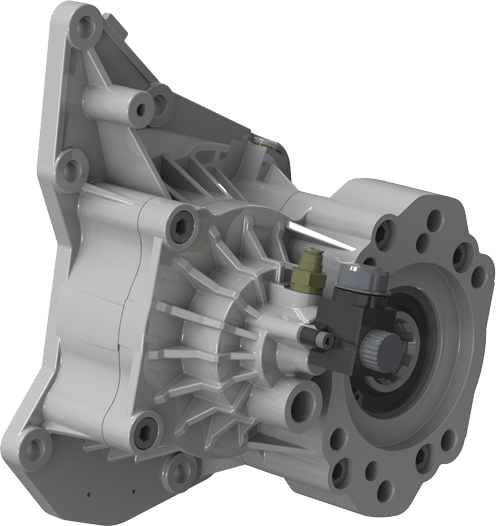 The RS6S-P89M is capable of different ratios, several different outputs and the ability to mount larger displacement pumps. *Bending moment limit of 29.5 ft.lb. max.